Here Come the Jobs, Pay Raises and Relocations! 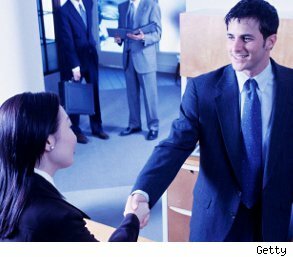 According to a study by Dice Holdings, Inc. a provider of specialized career websites for professional communities, employers are increasingly optimistic about hiring these days, with slightly more than half (51 percent) anticipating hiring more professionals in the second half of 2011 than in the previous six months. America's hiring managers and recruiters are forecasting healthy job growth for the remainder of this year, according to the recent survey. And all that hiring will affect not just the tech world. The survey found that companies expecting a step-up in hiring in the next six months represented a broad spectrum of industries, including energy, technology, telecom, media, internet, distribution, financial services, consulting and retail. "The recovery in jobs appears to be broadening to include more industries, more professions and certainly more local markets," said Scot Melland, chairman, president and CEO of Dice Holdings Inc. "We see this every day in our businesses as more and more companies return to recruiting and speed-to-hire becomes increasingly important." According to the study, more and more companies may be reaching out to candidates in the near future, and more may be willing to pay for relocation if candidates possess the skills that they're looking for. The disparity between available jobs and skilled talent has sparked companies to adapt to a more competitive market. Nearly half of the hiring managers and recruiters (49 percent) said that they have started to recruit talent from geographies outside their local market due to talent shortages. Not only that, but paychecks are starting to be positively affected; 41 percent of hiring managers and recruiters indicated that salaries for new hires are rising, compared to just 29 percent who felt that way six months ago. All this, and a drop-off in fierce competition too? Maybe things ARE getting better: Half of employers and recruiters noted that they no longer are seeing increases in the number of candidates applying for positions.